Select the characteristic that best describes the location of the crash. 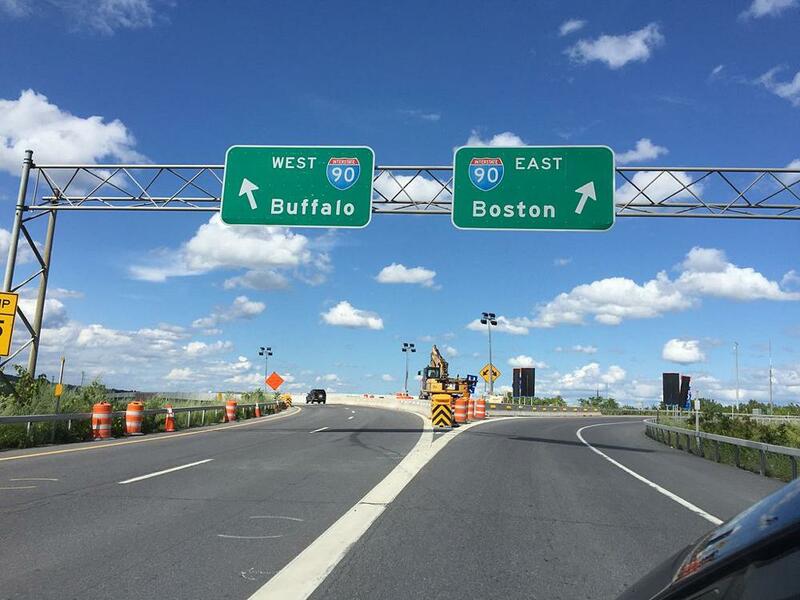 An intersection consists of two or more roadways that intersect at the same level. 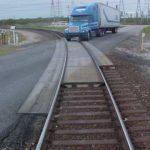 This is important for site-specific safety studies to identify actual or potential safety problem locations. 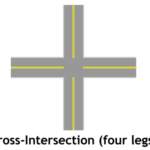 1 Not At Intersection This attribute identifies that the crash was not at an intersection or intersection-related. 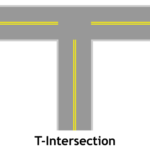 A non-intersection-related crash would occur outside the intersection’s boundaries and also: (1) on an approach to or exit from an intersection and (2) as the result of an activity, behavior or control related to the movement of traffic units through the intersection. 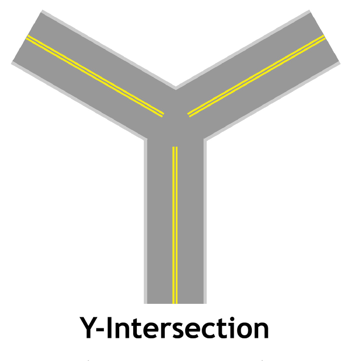 2 Four-Way Intersection Where two roadways cross or connect. 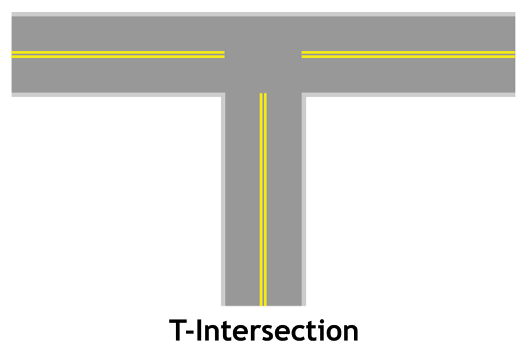 3 T-Intersection An intersection where two roadways connect in a perpendicular manner and one roadway does not continue across the other roadway, forming a “T” shape. 4 Y-Intersection An intersection where three roadways connect and none of the roadways continue across the other roadways, forming a “Y” shape. 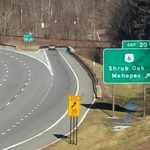 5 On Ramp A one-way lane for traffic entering a turnpike or highway. 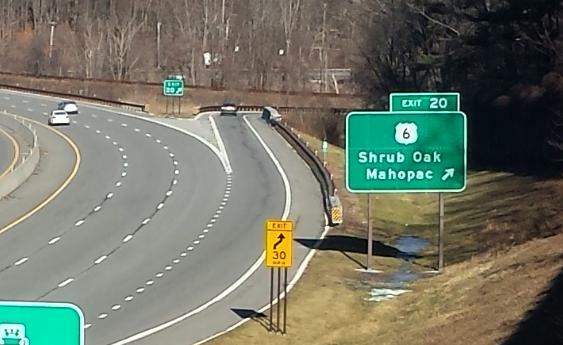 6 Off Ramp A one-way lane for traffic exiting a main highway. 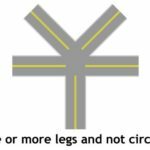 7 Traffic Circle An intersection of roads where motor vehicles must travel around a circle to continue on the same road or leave on any intersecting road. 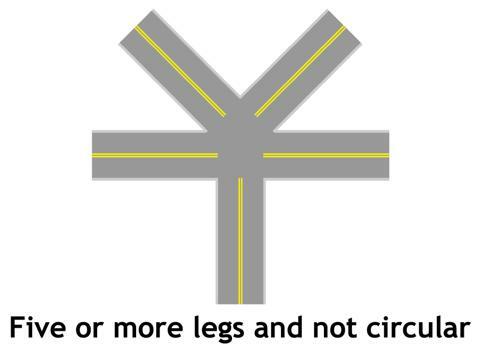 8 Five-Point Or More An intersection where more than two roadways cross or connect. 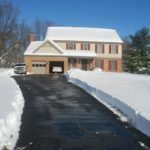 9 Driveway A driveway is a private way which provides vehicular access to the public from a trafficway to property, parking, or loading areas outside the boundaries of the trafficway, but is considered to be not open to the public for transportation purposes as a trafficway. 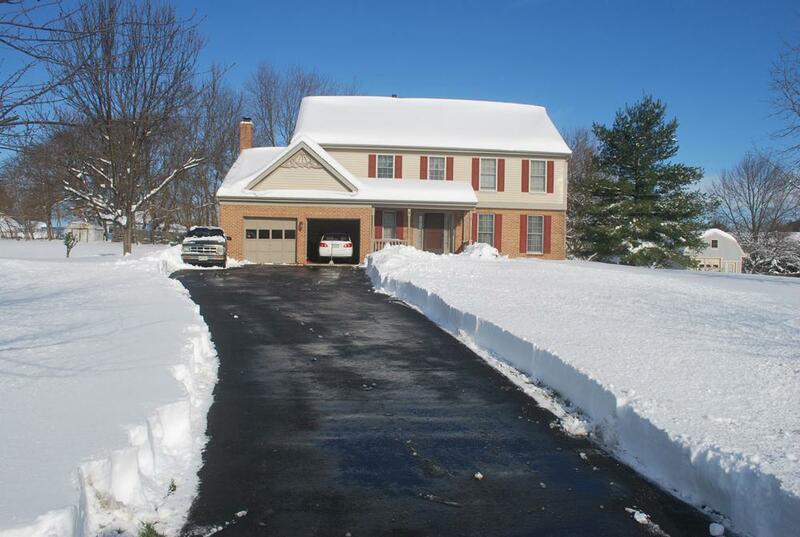 A driveway is outside the trafficway and is typically not provided an official identification name or number. 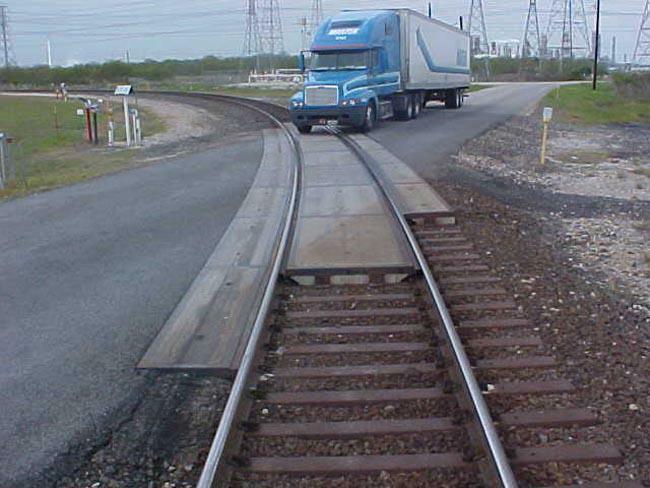 10 Railway Grade Crossing An intersection between a roadway and train tracks that cross each other at the same level (Grade). 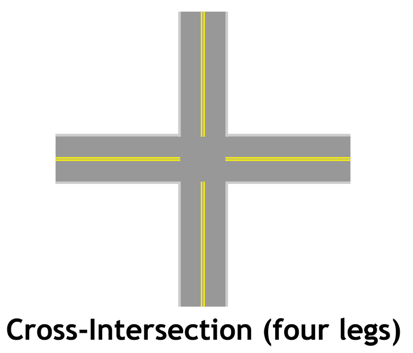 How should a mid-block crosswalk be classified? 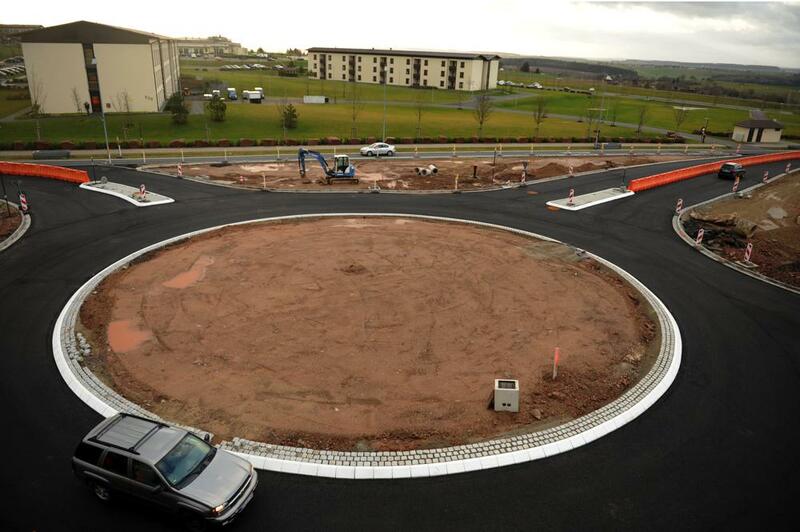 Because this is not considered an intersection, use ‘not at intersection’. 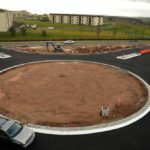 Roadway Intersection Type was found to be acceptable in 90 percent of the reports reviewed. Compared to State Police, local police had a slightly higher rate of inconsistent entries. 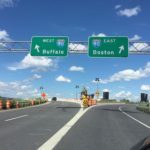 This could be due to the higher variety of intersection types on local roads patrolled by local police as compared to interstates and state routes patrolled by State Police.